Honestly, I have no idea why the organizers like to put the tennis players together with animals. Especially when they put them together with a slithering scary snake. 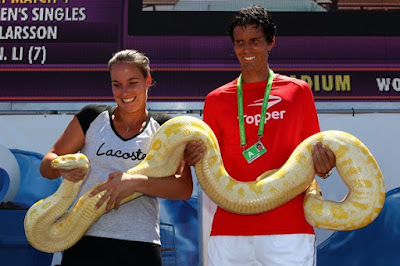 Jarmila Groth, Tzvetana Pironkova and Juan Ignacio Chela had to deal with their fear in a photo shoot yesterday. 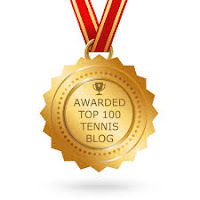 Vania King, Potito Starace, Ivan Ljubicic, and Thomas Berdych were luckier. They got dolphins earlier this week. 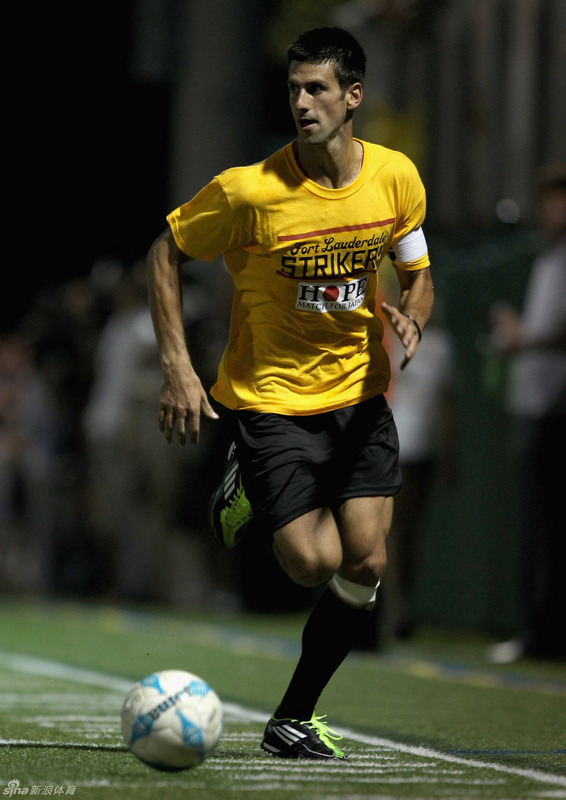 Here are the photos of Novak Djokovic, Rafael Nadal and friends in a charity soccer match to support the relief effort in Japan. Other players who joined this effort were Kei Nishikori, Andy Murray, Fernando Verdasco, Richard Gasquet, Feliciano Lopez, Viktor Troicki, Marcos Baghdatis, David Ferrer, Jurgen Melzer, etc. 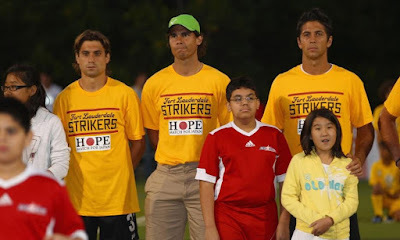 Murray and Baghdatis scored, but the tennis players lost to the Fort Lauderdale Strikers professional team. If you are thinking of contributing to this relief effort too, please visit this website and bid on something for a good cause. This auction site was put up by Nishikori to raise funds for the Red Cross to help victims in Japan. They will continue to fill the site with items as players and events continue to donate. We are the world leaders in providing best ccna wireless & PMI-001 exams prep solutions. Our incredible offers for 000-118 and testking pmp exams are accessible at reasonable prices; 640-822 dumps is very rare in IT world sense. 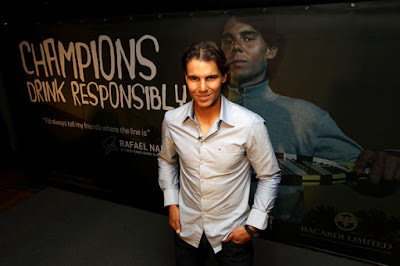 Bacardi has unveiled Rafael Nadal as the face for their “Champions Drink Responsibly” campaign yesterday. Originally from Cuba, this is the first time the giant liquor company brought such a huge global campaign to the United States. 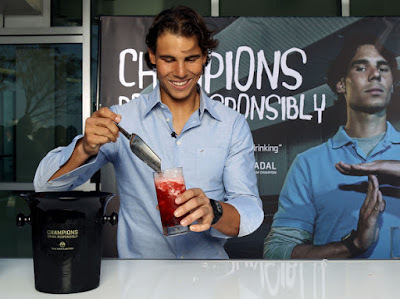 “I enjoy socializing with my friends and family and drinking responsibly is important no matter what your game is,” Nadal said in a statement. 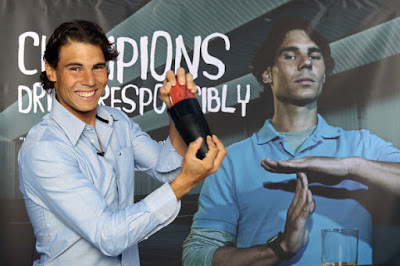 Nadal will deliver the message of responsible drinking out to fans during his tournaments as such events will be staged around Wimbledon, the US Open and others around the world. 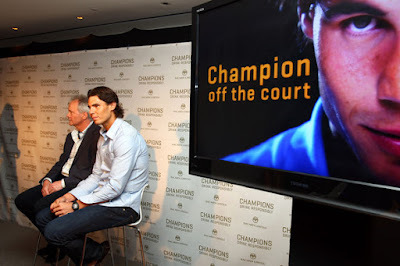 Here are the rest of the photos of Nadal at the presser and reception. Want to pass avaya certification exams? Check out our latest 640-802 study guides and 642-813 demos give you 100% exam pass guarantee of testkings. 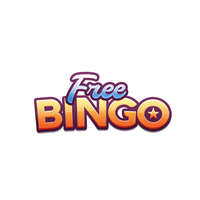 You can also get 70-680 dumps from this website. 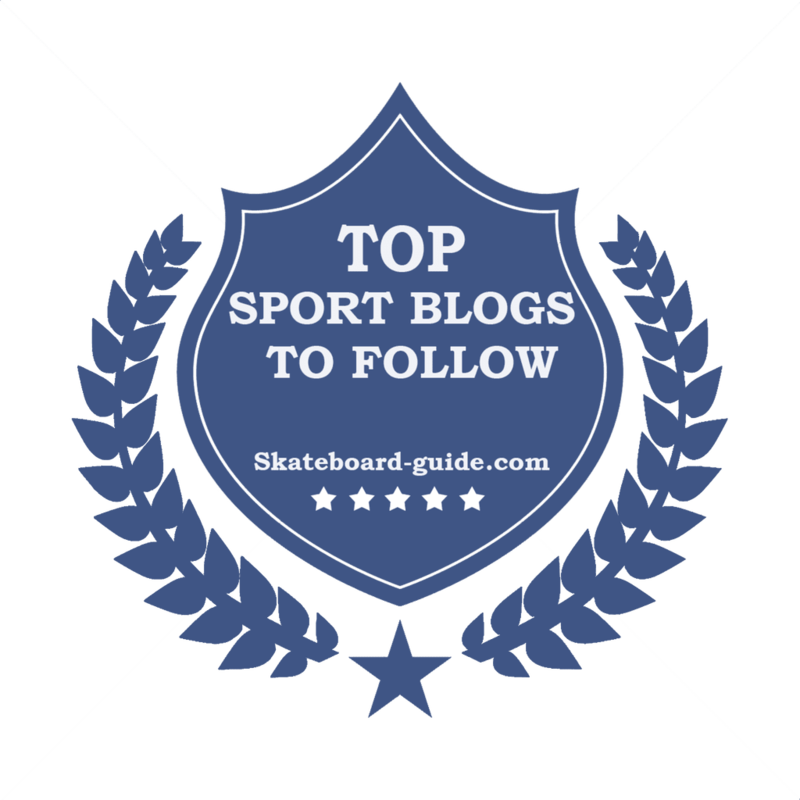 Rafael Nadal and Novak Djokovic will lead a group of top tennis players (Kei Nishikori, Andy Murray, Fernando Verdasco, Richard Gasquet, Feliciano Lopez, Viktor Troicki, Marcos Baghdatis, David Ferrer, Jurgen Melzer, etc.) in a charity soccer match to help raise money for Japan earthquake relief. 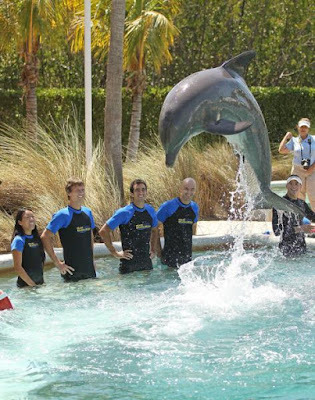 Nadal and Djokovic are in South Florida for the Sony Ericsson Open on Key Biscayne. The tennis players are planning to play in the soccer match against the Fort Lauderdale Strikers pro team at a Miami high school Wednesday night. The match is free and open to the public, with all donations collected throughout the evening will proceed to the American Red Cross Japan disaster relief effort. A fundraising dinner is also planned after the game. Earlier last week, Djokovic wore a knee tape with the message written in support of Japan while playing at the BNP Paribas Open. 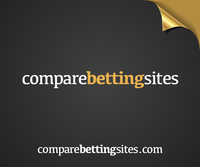 We offer up to date practice questions for ccsp and 000-106. We also provide your 640-822 with highest score using up to date products of testking mcitp & PMI-001 dumps are not a challenge for everyone. Rafael Nadal and Novak Djokovic must have had a great time at the exhibition match in Bogota, Colombia yesterday. The tennis world no.1 and 2 not only danced the night away with a female fan. They also gave some tennis lesson to kids before the start of the event. 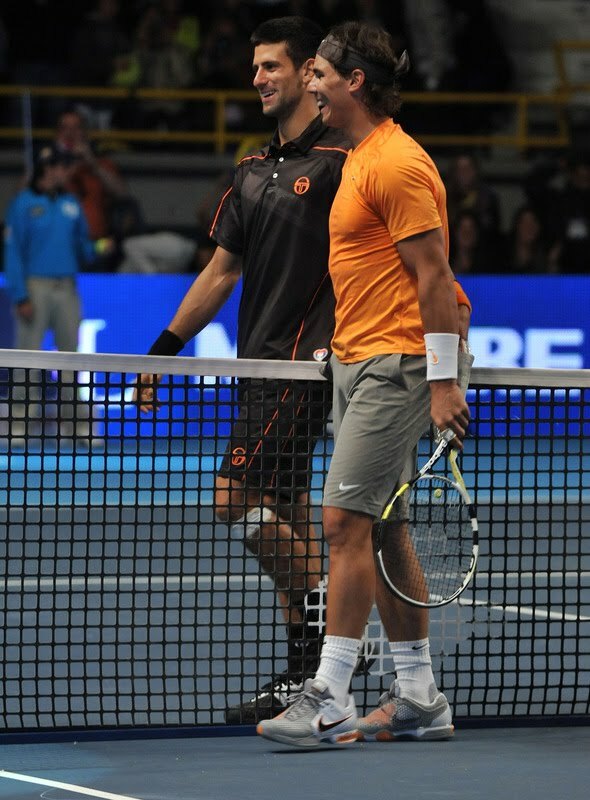 During the match, Nadal got his revenge after he sent Djokovic packing with a 7-6, 6-3 win. 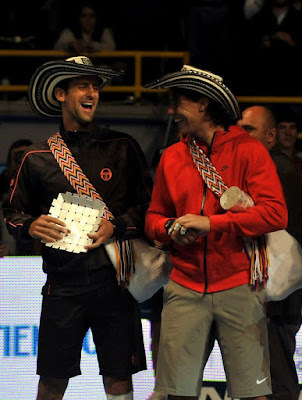 The exho match wouldn't be complete without the players putting on the Colombian Vueltiao hats. Our self paced ccna voice training courses and high quality 646-205 provide you definite guarantee for passing the real PMI-001 exam. If you get through testking mcp exams, you will find other 70-662 dumps. Am I disappointed about Rafael Nadal's loss to Novak Djokovic at Indian Wells? 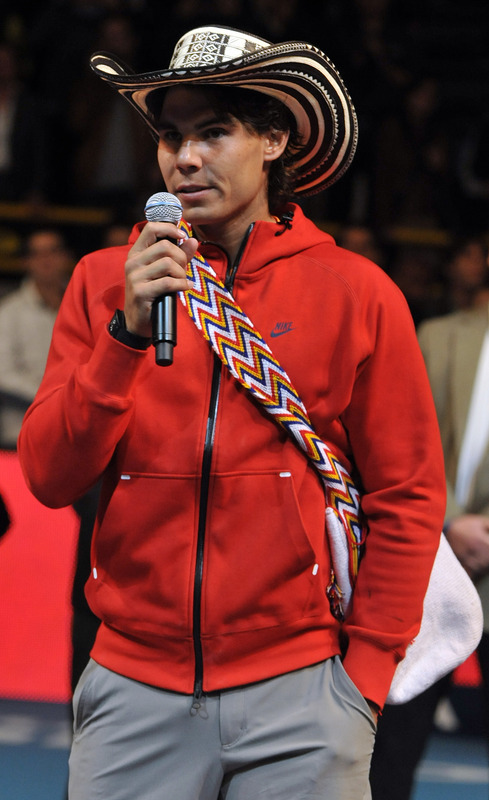 In fact, I actually think Nadal is a smart player with long term planning. Look, he doesn't need to defend the title this year as his gap from the world no.2 is quite far apart, about 4000 points in the latest ATP rankings. 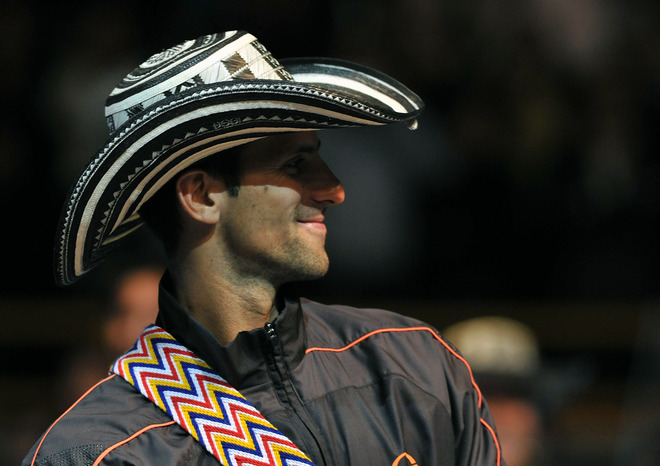 What's more important is that he plays a small part in 'allowing' Djokovic to surpass Roger Federer as the new world no.2. Anyway the season is still a long way from being over. I'm looking forward to the clay court season where the battle between Djokovic, Nadal and Federer will continue. On the women's tennis, Caroline Wozniacki made another strong statement that she's the best player after winning at the Indian Wells last week. The question again is when can she win her first Grand Slam? I'm pretty sure that once she knows the formula, she could easily become one of the greatest players. You can get score highest marks in cissp training using 1Y0-A19 and 000-977 which are prepared by top certified professionals, testking mcdst & 640-816 dumps; both are marvelous in their nature.